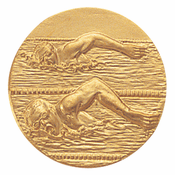 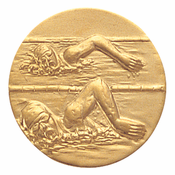 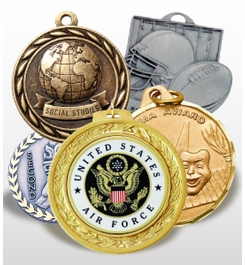 There are 460 medal subjects covering academics, sports, the arts, military and different occupations . 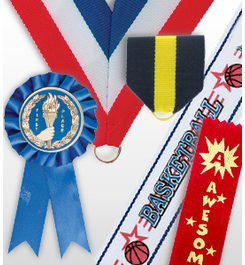 We offer 7 different styles of ribbons in 30 colors. 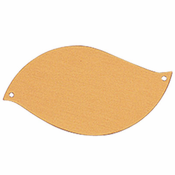 Which include neck ribbons, pin back ribbons and rosette ribbons. 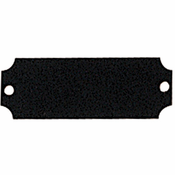 In addition there are 8 different style neck chains. 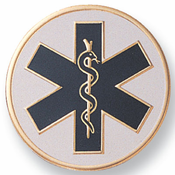 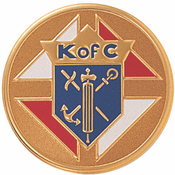 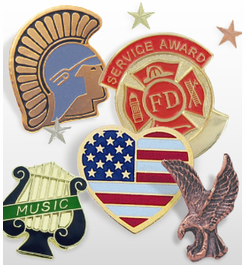 We offer 569 lapel pins covering sports, academic, the arts, military, years of service, safety and sales. 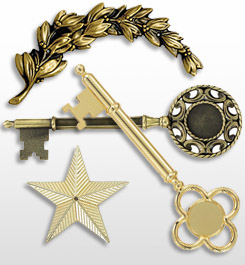 All designs are original and have been created by our artist and graphic designers. 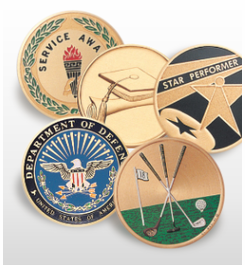 There are 188 meticulously hand painted and electroplated resin custom awards covering achievement in sports, academics, and the military. 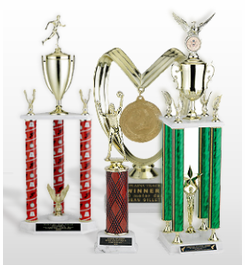 This section has 151 different trophies that can hold our interchangeable trophy figures, risers and 2 inch medallion inserts. 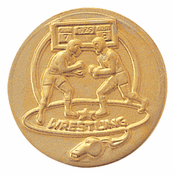 Select the trophy and the figure and medallion insert will appear as add-ons. 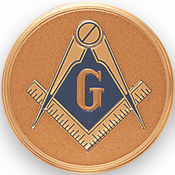 We show 151 figures and riser tops for holding our 2 inch medallions. 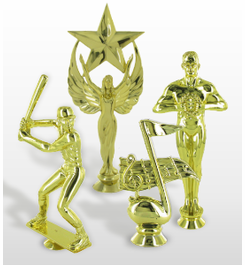 The figures are used on our traditional trophies and will appear under the trophy selected. 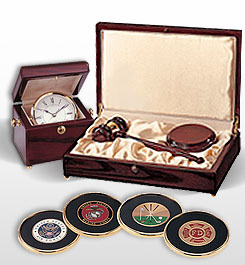 Listed are over 600 interchangeable medallion insert discs. 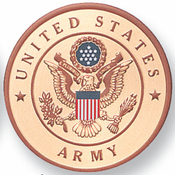 Including sports, academic, military, organizations and the arts. 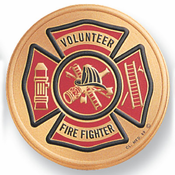 290 beautifully designed custom plaques in several sizes, styles and shapes. 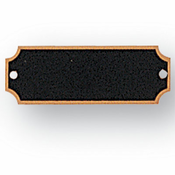 These custom plaques are personalized with our laser and mechanical engraving and our 2 inch medallion inserts. 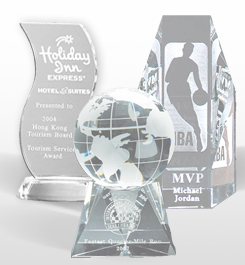 This section consist of different shapes of optical cut crystals, glass trophies, paperweights, and engraved sports figures inside the crystal. 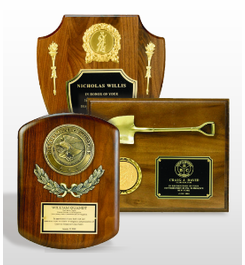 All awards and gifts in this section can be laser engraved. 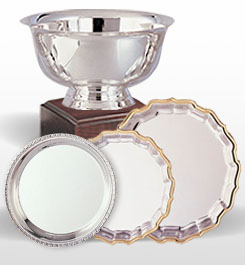 A huge selections of prestige's hollowware consisting of Paul Revere bowls, wine coolers and award trays. 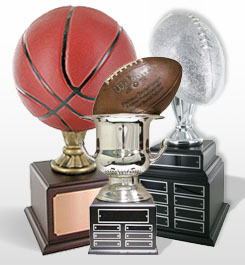 Metal Trophy Cups, Perpetual Cups and Sport Ball Trophies. 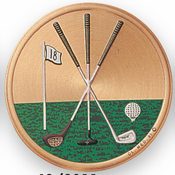 Variety of different style Cups with or without figure and sport balls. 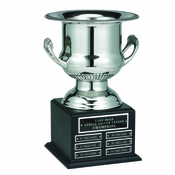 Cups come in Gold and Silver mounted on wood bases. 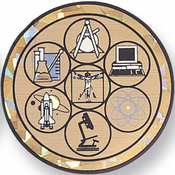 Over 150 items of star pins, trophies, paperweights, crystal awards, and glass awards. 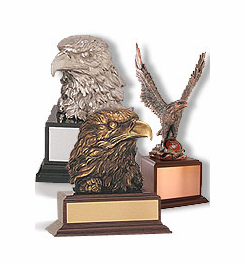 We offer multiple custom award designs of eagle trophies from electroplated gold, silver, and bronze eagles to hand painted eagles. 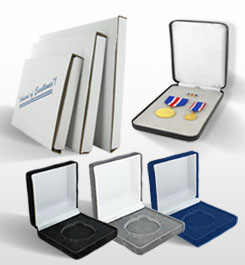 This section includes certificates, custom certificate plaques and certificate holders. 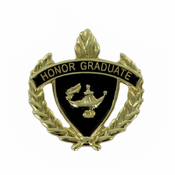 You can choose from various certificates such as honor rolls and services that can can be mounted on various wood finished and colored plaques. 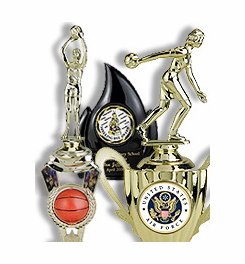 We offer 106 unique interchangeable trophy designs covering every sport or game.Trophies with interchangeable trophy figures and risers holding 2 inch medallion inserts. 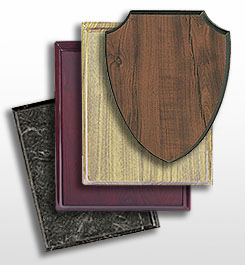 We offer genuine walnut ,walnut, marble, or rosewood finish custom plaque boards that range in many sizes and shapes. 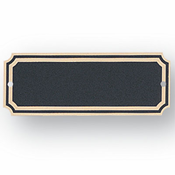 We offer various trims, resin-made, cast stone-made, metal cast-made and wreath style plaque mounts to be mounted on custom Plaque boards. 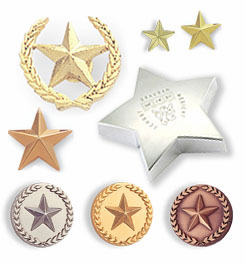 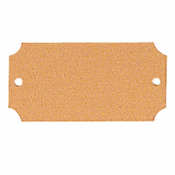 A wide selection such as sizes and colors of velour or hinge boxes for medals and pins. 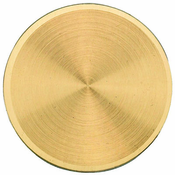 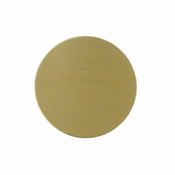 We offer smaller or larger sizes of colored engraving awards and gift plates in brass and aluminum. 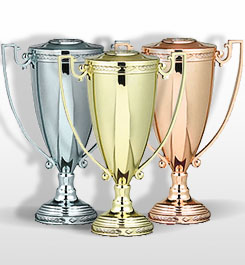 View our selection of trophy cups that are die cast in gold, silver, or bronze with lids or no lids. 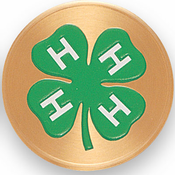 We have awards for country clubs, tournaments, or just a simple award between your golf buddies. 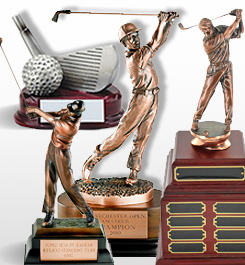 We offer various sizes and styles of trophies such as plastic, glass, crystal, or electroplated golf trophies. 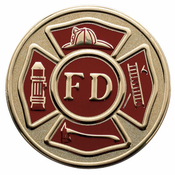 Why Shop with Us? 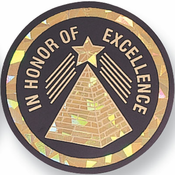 Browse our site to find the perfect award or gift. 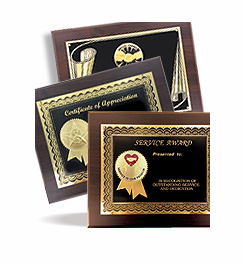 Why not recognize your students, employees, or just that special someone with a personalized award that will put a smile on their faces. 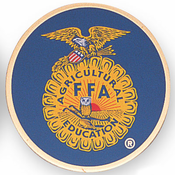 Shop our site or give us a call at 1.800.506.3325 to speak with a representative that can help place your order. 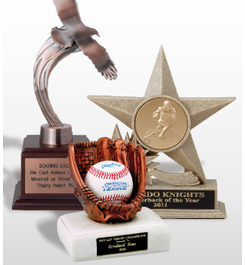 We offer various custom awards such as crystal, glass, acrylic, custom plaques, trophies, medals, pins, and much more! 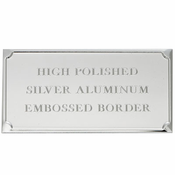 Our gifts consist of but are not limited to travelware, officeware, decor, or drinkware. 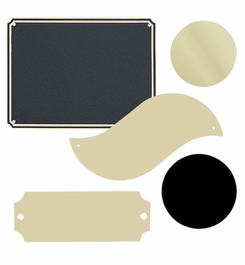 As a friendly reminder, we offer free ground shipping for orders over $50 dollars. 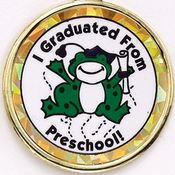 We also can personalize the majority of our items to create a unique award or gift.